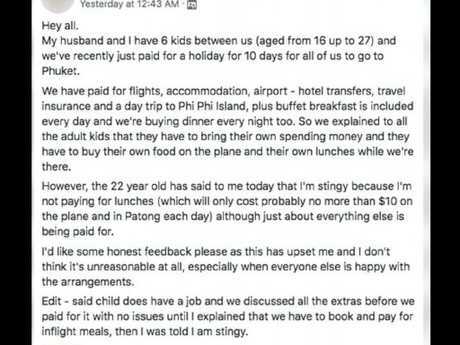 A PERTH mum who paid for an all-expenses family holiday to Thailand said she was called "stingy" by her adult son after asking him to cover his own lunches. The woman took to the Perth Mums Group on Facebook to share her story, which she said had left her feeling upset. 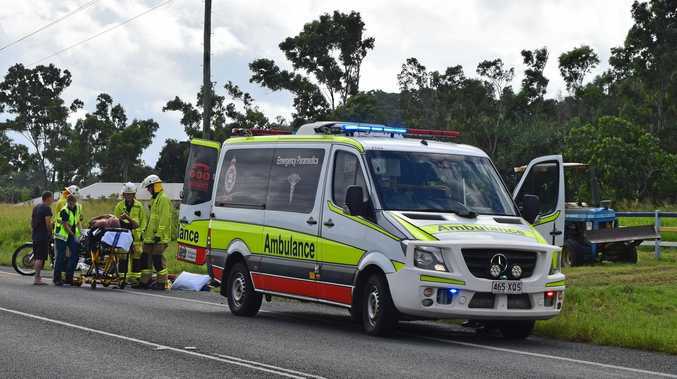 The mum, who had six children aged 16 to 27, said she paid for flights, accommodation, airport transfers, travel insurance and even a day trip to Phi Phi island for the whole family. She'd also arranged for a buffet breakfast at the hotel for all 10 days of the trip, and would cover the cost of dinner every night. She only had one request from her adult children - to cover the cost of their own lunches. 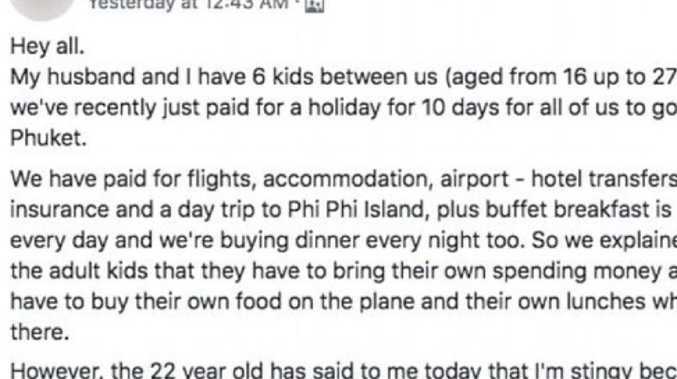 "So we explained to all the adult kids that they have to bring their own spending money and they have to buy their own food on the plane and their own lunches while we're there," she explained in the Facebook post. "However, the 22-year-old has said to me today that I'm stingy because I'm not paying for lunches (which will only cost probably no more than $10 on the plane and in Patong each day) although just about everything else is being paid for." She added that her son has a job, and they had previously discussed extras before the holiday was booked. 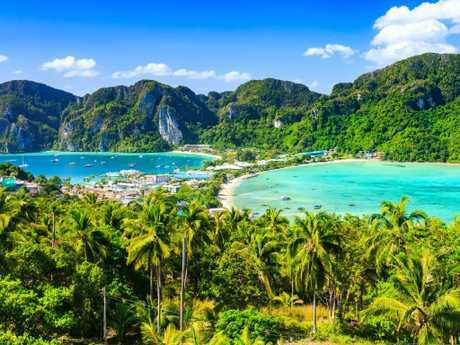 The mum had even forked out for a day trip to Thailand’s Phi Phi islands for the family. The mum then asked for "honest feedback" from the group. "This has upset me and I don't think it's unreasonable at all, especially when everyone else is happy with the arrangements," she said. People appeared to be shocked by the woman's story. One person described the 22-year-old as a "spoiled little brat who could do with a lesson in reality". Another said the son's attitude as being typical of "kids of today". A young woman commented the son should consider himself lucky. "I'm 21, my mum's taking me to Bali and I have to pay for my flight," she said. "Your 22-year-old is lucky."